MIKIMOTO celebrated its 123rd anniversary with the grand opening of the new 1881 Heritage store in Tsim Sha Tsui, continuing the founder’s vision to bring the beauty of pearls to the world. A grand reception was held at the 1881 Heritage Courtyard to celebrate this memorable occasion. Highlighting the ocean theme of the new store, the brand delighted guests with a special ballet performance featuring the precious and rare conch pearls. 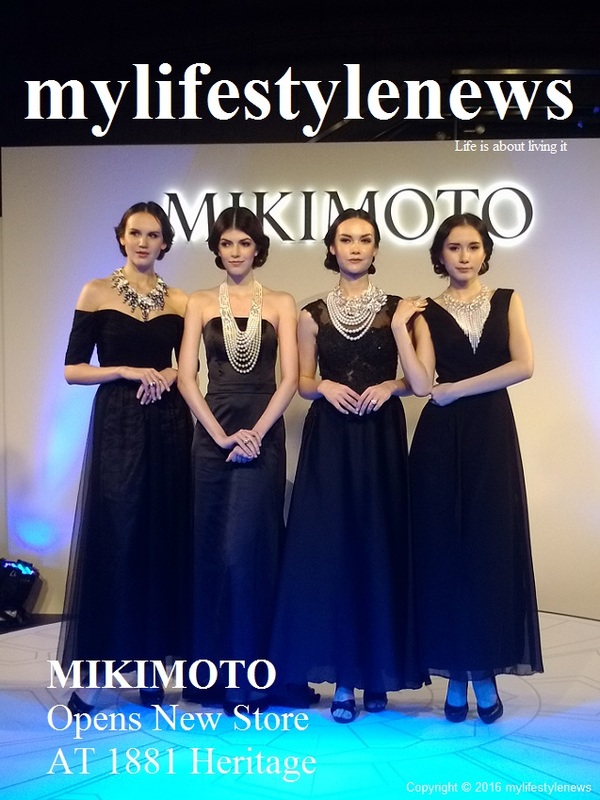 It was followed by a catwalk in which models wearing the high jewellery collection flaunted the perfection and craftsmanship, which unrivalled natural beauty of MIKIMOTO’s pearls. The venue tastefully furnished in white showcased MIKIMOTO’s iconic high jewellery collections and its important milestones since 1893. Key decorations were also inspired by the classic Yaguruma, the multifunctional sash clip could be used in 12 different configurations, unveiled in the early Showa period to highlight the legendary heritage of the brand and complement the timeless design of the new store. The 2,105-square-foot new store draws inspiration from the infinite and abundant oceans. The opulent interior subtly echoes the timeless charm of MIKIMOTO’s pearls and jewellery collections. The traditional Japanese cultural elements also highlight the profound heritage of the brand. The stunning ceiling decoration inspired by the brand’s Yaguruma design unveiled in the early Showa period contrasts nicely with the marble flooring. Walls featuring various premium materials, marble and wood flooring, and the artistic chandelier create a bright and spacious space that marries modern textures and traditional Japanese arts.